Work for Adobe Send and Track? Learning about Adobe Send and Track? I love the ability to get to know in a timely fashion when my team is able to view our shared PDF documents and keep track of how our changes are made across dozens of documents at once. This is a game-changer. I struggle with very little about this program. I love the ease with which it integrates with other software and platforms, and as a low-key (or not so low-key!) Mac-user I wish it was just a little more Apple-sync friendly. Other than that, this has been a real hit. If you are looking for a product that keeps total transparency between collaborative work on several documents at the same time, Adobe Send and Track is for you. The ability for multiple people to sign and edit a document collaboratively is vital to finishing projects in a timely matter. I love the collective power of Adobe Send and Track and don't think I'd be making record time on some projects without it. It also ends discussions or confusions on who did what and when – it's all out there for us to check right away! "Adobe Send and Track review"
Send and Track makes it extremely easy to send documents, especially larger ones, without having to worry about delivery fees for mailed paper copies of the documents, or worrying about email servers rejecting the attached document due to size. Sometimes the tracking and receipt information do not appear right away, but usually if you close and reopen the software this problem resolves. Definitely consider this product if you frequently need to send large files to multiple individuals. It is a much easier, secure, and efficient way to share documents and has saved our employees time and effort. Having the ability to send large files to one individual or to a group and receiving confirmation when the document is received by others. It is helpful when sending large PDF documents of 200 pages or more. "GREAT for huge files and silly storage limits"
Being able to send things and get around storage limits for email boxes. Also great for not taking up space in my inbox/sent folder - I save many emails for future reference, so just having a link rather than a huge file makes a big difference. How the program inserts the canned text with your upload. It's awkward and could be formatted/worded better. Some of our clients have wimpy storage limits, 10MB or less, and this has given us a solution to get things to them with a trusted brand name attached so that it doesn't look suspicious. "Helping my company to be more organised"
Adobe Send & Track is an easy to use no fuss and reliable form of making sure the customer/contractor gets the form signs it and sends it you back. I was trying to manage individual sign ups with the same form this has not yet come into play from Adobe but after reading blogs looks like its coming soon. Make sure your forms are ready and designed and fit in with the send and track. We had many issues with customers saying they had not received forms which had been sent out but we had no way of knowing they had it no not, sometimes forms would come back in the post after deadlines and deals had passed but not any more. "Works like it says it will"
It is simple and plugs right into the email that you use. An option always pops up when attaching documents that asks if you'd like to use Send and Track. Makes it easy to see if the recipient has actually opened the document. Nothing about this product. It is annoying when others don't use it. Lets be honest, some people are not trustworthy. There are no excuses when I can see who has viewed the documents being sent. "The Easiest Way to E-mail Large Files"
It's very easy to install in my Outlook e-mail for work and uploads files very quickly. It's more secure to send a link so the users receiving the files, don't hesitate to open an attachment. There's really nothing I dislike, incredibly easy option to sending large files via a link. It would be nice for image/artwork files if the down-loader of the file could see a small preview in their e-mail. 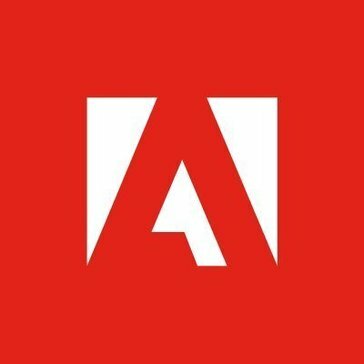 Very often I have to send large artwork files to vendors or companies that sometimes cannot accept large attachments, so Adobe Send and Track is wonderful. It has eliminated any issues with sending large files since it only sends a link for them to download the file separately. I love how I can create awesome, inspiring, creative and vigorous files on adobe and have the ability to be able to send this files and track when they were delivered & opened. The awesome insight about this is you can also request a confirmation receipt so you know you sent it to the correct person and they received the file. I have absolutely no dislikes about this. It is an amazing and great tool that works incredibly well. This benefits my business extremely well as we are always creating art work for our contents as well as creating invoices in Adobe Acrobat DC and sending these invoices to clients. "Adobe Send and Track Saves Me Time"
By using Adobe Send and Track, you automatically get the option to use it whenever you send an attachment in an email. Never wonder if someone received your document--use Adobe Send and Track! I save time by not having to ask anyone if they received a document sent via email. Adobe Send and Track is a great tool to share documents with team members have everyone track changes and sign. Don't have negative comments about this product. Highly recommend this tool for anyone looking to streamline business operations and internal tracking. Business problems solved are: ease of use, simplicity and convenience. This tools has benefitted our team internally. "Perfect for emailing large documents"
I work in the legal field so I quite often email large documents to ckients, but a lot of isp's don't allow anymore than 25 MB. Adobe send and track allows me to get the documents to our clients anyway. Honestly there is nothing about this software that i dislike. It is very useful! However I could use it on my tablet, but it's unavailable. As mentioned before, the ability to send large documents regardless how how many MB are allowed by internet service providers. "A great way to ensure content is viewed"
I like how communication is controlled. I know my message has been received, and the format is compatible with the other person. There isn't anything I dislike about this app. This holds people accountable, plus I have peace of mind, knowing my documents have gone through. "Quick & simple file transfers"
I like that I can share files of any size from my phone. I dislike the dashboard. It’s not very intuitive. It took me awhile to get used to it. In my business I am constantly sharing files with clients & the fact that I can not only have access to this program on the go, it’s make sharing SO much easier. I can share files with multiple clients and track the progress. * We monitor all Adobe Send and Track reviews to prevent fraudulent reviews and keep review quality high. We do not post reviews by company employees or direct competitors. Validated reviews require the user to submit a screenshot of the product containing their user ID, in order to verify a user is an actual user of the product. Hi there! Are you looking to implement a solution like Adobe Send and Track?